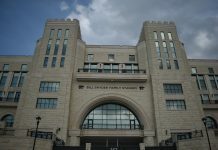 The first glimpse of change for the Kansas State football team was seen at the Spring Showcase on Saturday inside Bill Snyder Family Stadium. With head coach Chris Klieman now at the helm, fans can possibly see a different style of football on Saturdays in Manhattan. 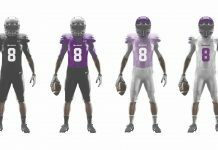 Although the coaching staff is different, the Wildcats lost 19 starters and retained 19 starters from last year’s team. The position that probably won’t be changing is the quarterback spot. Junior Skylar Thompson seems to be the one with a grasp on the position. He said he feels more comfortable knowing that his team has confidence in him. Thompson is coming back after playing in 11 of 12 games a year ago and throwing for 1,391 yards, also with had 14 total touchdowns. However, there is some competition for the spot; freshman John Holcombe is Thompson’s heels. Klieman also said he likes the transfers that he has got for his team this season. The most noteworthy are sophomore Hunter Rison, who is coming to Manhattan from Michigan State University, and James Gilbert, who transferred from Ball State. Both players are competing for a running back spot. 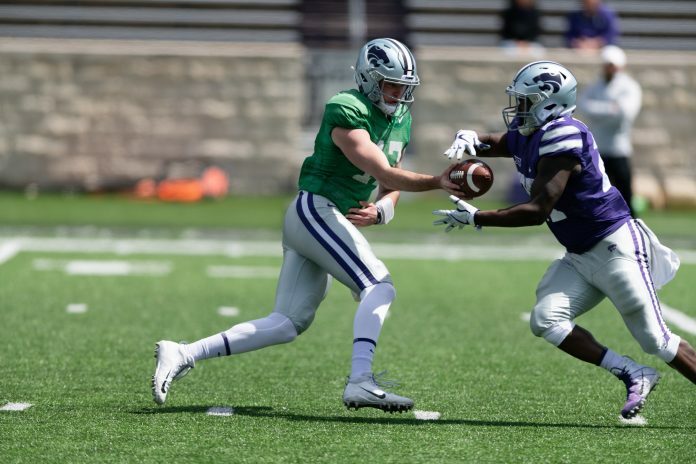 A tough guy to replace, K-State senior linebacker Justin Hughes tore his ACL last week, Klieman said, and will miss the entire season. Freshman Sammy Wheeler is a tight end to keep an eye on for next year after a one-handed catch caught many by surprise in Saturday’s spring game. He was originally going to be a quarterback, but he came to the coaching staff and wanted to change his position. The defense will have big shoes to fill after eight defensive lettermen did not return. K-State had a top-five defense in nearly every Big 12 category last year including third in scoring defense, allowing an average of 25 points per game. The Klieman Era will officially start on Aug. 31 when the Wildcats host Nicholls State.